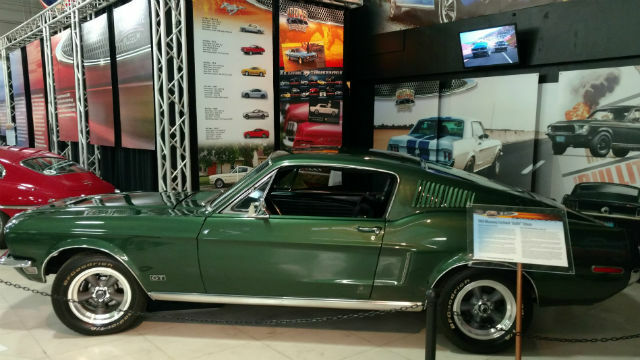 The San Diego Automotive Museum in Balboa Park has opened a new exhibit focusing on the world’s iconic vehicles of the past century. “Icons: Cars that Drove Our Imagination” features a “Roaring Twenties” Cord roadster, exotic French Delahaye, post-war Porsche 356 sportscar, 1968 Ford Mustang from the movie “Bullitt,” 550-horsepower 2005 Ford GT as well as the tiny, two-cylinder Citroen 2CV and Fiat 500. The new exhibit runs through June 1. The museum at 2080 Pan American Plaza is open from 10 a.m. to 5 p.m. daily. Basic admission is $12.